Happy New School Year… September 2014! Hello everyone and Happy New School Year! Lots of exciting things happening to launch this school year. 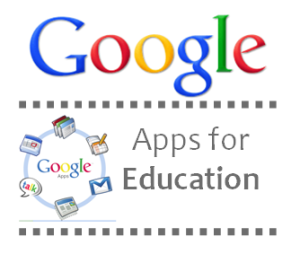 Where are your resources for Digital Citizenship? Where is the Nexus7 Tablet Project happening? 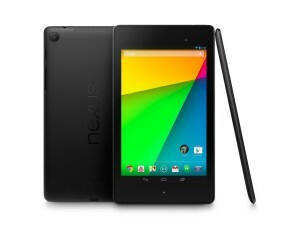 Where is the Google Chromebook Project being implemented? Where are Professional Learning Communities (PLC) sharing best practices around Stratosphere and Mindset? The answer to all of these questions… IT’s@ESSB! Wow. There is so much going on at ESSB this school year. Finding a vision to cheer us on was pretty simple. Sure the ‘IT’ stands for Information Technology, but let’s not leave it at that. ‘I’ is for illumination, innovation, inquiry, intelligence, inspiration, and imagination. ‘T’ is also for Technique, Tenacity, Thinking, Thriving, Teachers, and Team-work. IT really is at ESSB. Let’s begin with our Digital Citizenship Initiative for Eastern Shores School Board. ESSB has teamed up with Digital Citizenship Quebec to bring safe and appropriate use of the world wide web for learning within our Eastern Shores Community and beyond. A group of Cycle 3 teachers will pilot the DC Initiative, but don’t fret if you are not among these early implementers. Everyone is encouraged to start right away. We will schedule support to specific Cycles over the next 3 years, but it remains critical to approach Digital Citizenship in a global way from the outset. More details will follow as this moves forward. You can find resources to get started on the Digital Citizenship Pinterest Board. Focus Elementary Cycle 3 (in conjunction with the Nexus 7 Tablet Project). Focus Secondary Cycle 2 (in conjunction with the Google Chromebook Project). Of course, there is the ESSB Pinterest Page which is continuously growing with resources for Teachers and all Education stakeholders. 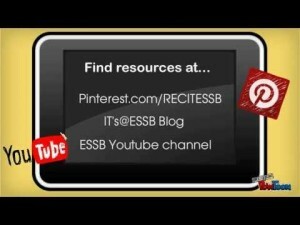 And don’t forget to check out new resources to the ESSB Youtube channel. Visit the playlist to follow along with our collective learning. It takes a village to raise a child, and the village has become a global one. Education is everyone’s responsibility. Please share resources with colleagues, friends, and family. Tell them it’s at ESSB! Have a look at this intro video on Youtube!